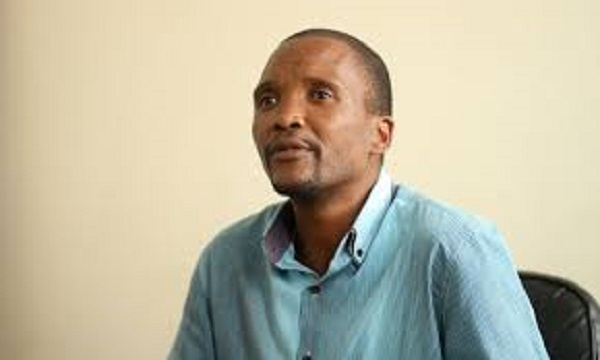 ZIMBABWE – Remnont Church Pastor Philip Mugadza, famous for staging a one-man demonstration against President Robert Mugabe in Victoria Falls last December, claims to have fallen victim of an elaborate plan by suspected State security agents to scandalise him in the same manner they did to former Roman Catholic Bulawayo Archbishop Pius Ncube. The Kariba pastor, who approached NewsDay Weekender through a lawyers grouping, claimed he was offered what turned out to be a fake scholarship and booked into a four-star hotel in Harare, where prostitutes were set on him. Mugadza said he started receiving calls from people who claimed to have been funding missing activist Itai Dzamara’s campaign against Mugabe’s alleged misrule. He said the people claimed to have been impressed by his courage in staging a one-man protest at the Zanu PF annual conference in Victoria Falls last year and wanted to organise a scholarship. He said the caller later transferred $50 through a mobile money tranfer agent to enable him to travel to Harare for meetings claiming to be representing an organisation called International Research Agency, with its given address as University of Zimbabwe (UZ) department of political administration under a professor only identified as Abdul Mohammed. “They called me and identified themselves as from the department of international relations and wanted to appreciate what I was doing. I said that could be a good opportunity for me to study law, as I have always wanted to study it. They sent me money and I came to Harare. I was sceptical because I thought it could be the CIO, but I said to myself I could not run away from, them forever,” he said. Mugadza said after waiting for long, he decided to leave for Kariba only to be invited back to meet a person only referred to as doctor. “A call was made to one professor, who I could tell from the voice was an Indian. I thought this could be genuine, as I had not heard of a CIO of Indian origin. “At the hotel, the doctor, who was drinking beer, started saying he wanted girls around him. They were drinking and I said well, they can do their stuff. Two girls were called in and we all went to what was supposed to be my room. We started talking and I thought they would leave together, but when the woman, who was the secretary, was about to leave, she said to the girls, since you still want to chat, you can remain and go later. He said he got a call from the people he was supposed to meet and while rushing for the meeting, he met the two women, who started demanding money from him. “This is what they did to that Ncube. Who can believe them for using such tactics? They think they can bring me down. If God doesn’t want me to die, I will not die,” he said.